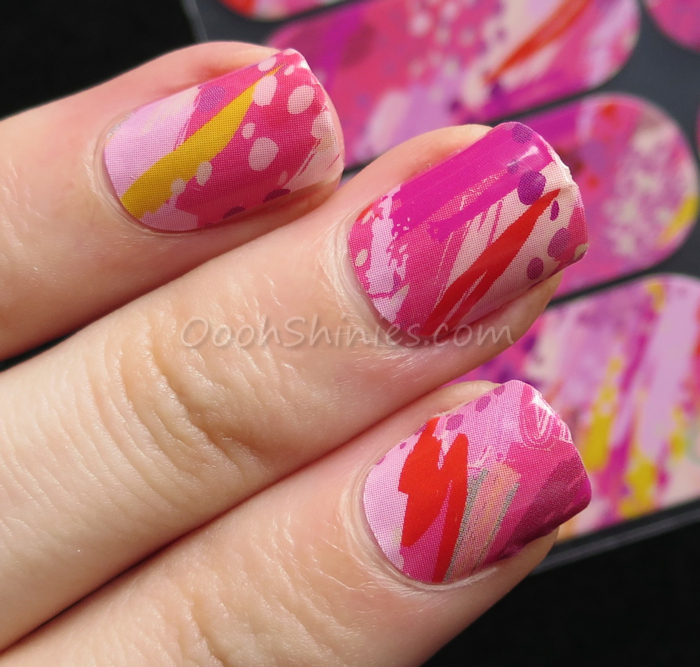 Every once in a while I review some nail wraps, because I think they can be a great solution for people that struggle with polishing or nail art, people that want a unique design that really lasts long, or people that simply love easy accentnails. Jamberry is a brand I didn't try before, and they were so kind to send me 2 of their designs. Let's have a look! The designs I received are First Frost and February Host Exclusive. Each set has 18 wraps in different sizes, and all are long enough for me to easily get 2 nails out of 1 wrap. I think I can get a full pedi out of the biggest wrap even! The first design I tried is February Host Exclusive, a lovely pink design with various other colors. It looks fun, fresh and perfect for Summer! There are clear instructions on the back of the package, you need to warm the wraps until they're soft and more flexible. I used a blow dryer (which was suggested as well), and it was indeed needed, these wraps are a bit thicker and not as soft. After applying them, you warm them once more so they bond well to the nail. And yes, they got really stuck to my nails, so if you're looking for a longlasting wrap, check these out! The downside of their thickness, was the filing down of the remains. My fairly fine glassfiles couldn't easily get them filed smooth, as you can see on my tips. However, I could get the tips smoother by getting a different type of file I'm sure (which I definitely would if I'd wear wraps more often!). I tried the next design, First Frost, on a later date. But as you can see, I didn't get them on as nicely this time :( This is a big downside of most wraps for me, they can get a bit flexible, but not enough to easily get them smooth on each nail, especially my thumbs seem to have some wobbly parts that don't match well with wraps. 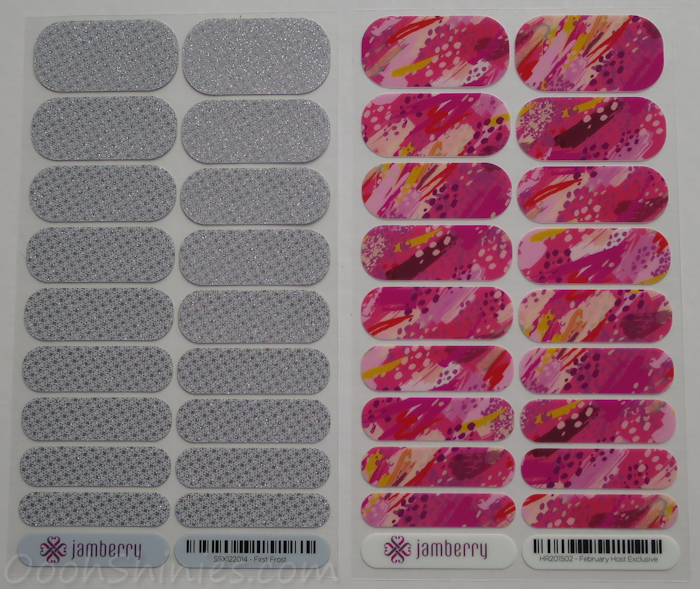 Even though I really like these 2 designs and the HUGE variation that Jamberry offers (seriously, so much lovely designs! ♥), I'm not loving the wobbly result, but the bubbles is a thing I keep encountering with wraps unfortunately. I wish I was better at applying them!